In this tutorial, we will show you How to Download the Website. 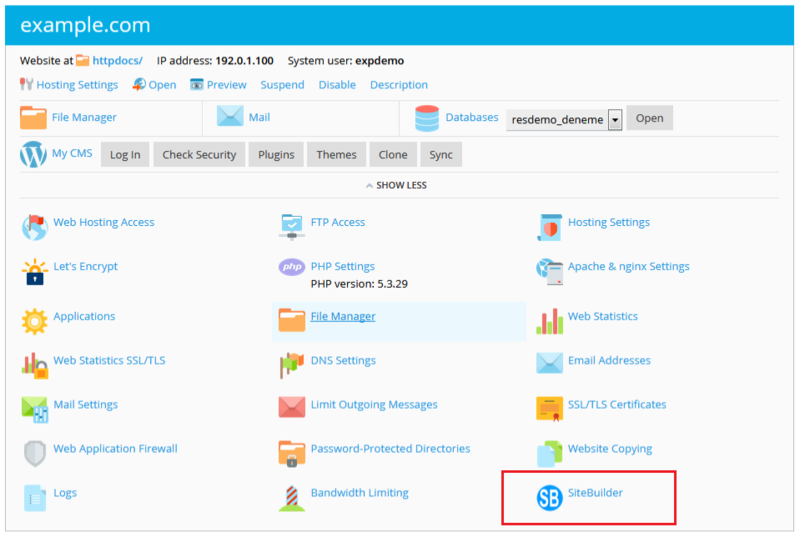 Note : By default Download option is disabled, if you want to use the Download option you will need to contact your web host to enable the Allow Download Website setting from SiteBuilder admin panel. Note : The download option is not available in SiteBuilder Free plan. Once you are redirected to the Editor Server you will see Download button in the top bar. 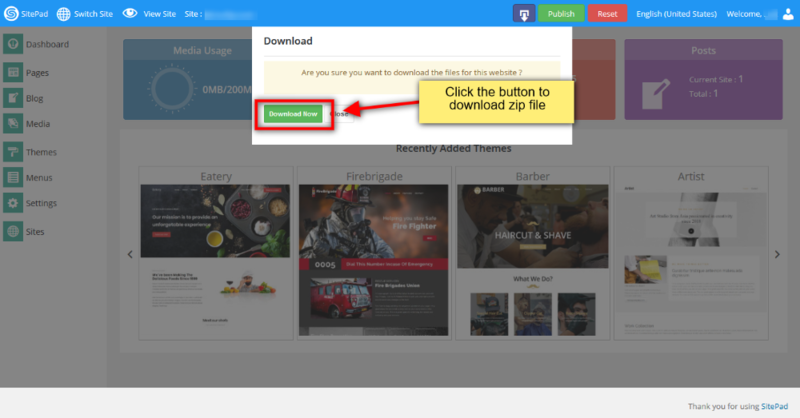 Click on Download Now button to download the website files in ZIP package. Once the ZIP file is downloaded, upload that file on your server in your web directory e.g. public_html/ and unzip that file in same directory. You can use the File Manager feature in your control panel to upload the file. That’s it ! Your site should now be accessible when you access your domain name in the browser.